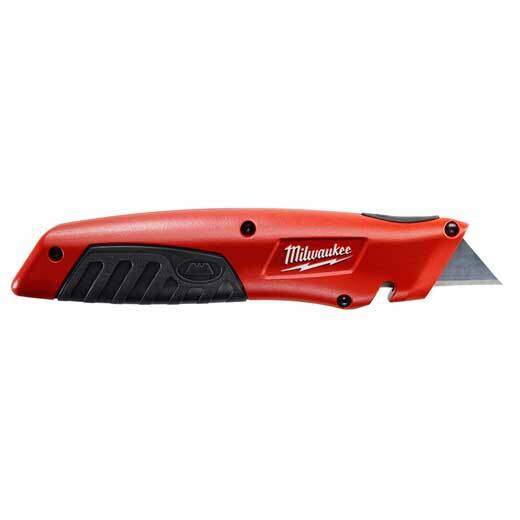 The Sliding Utility Knife features a side activated slide switch to reduce the risk of exposing the blade accidentally. Complete with rubber over mold to increase comfort and reduce hand slippage, the tool also includes on board blade storage and a tool free blade change to increase efficiency in the field. The integrated gut hook and wire stripper also increase utility.